I’m not the only one confused? 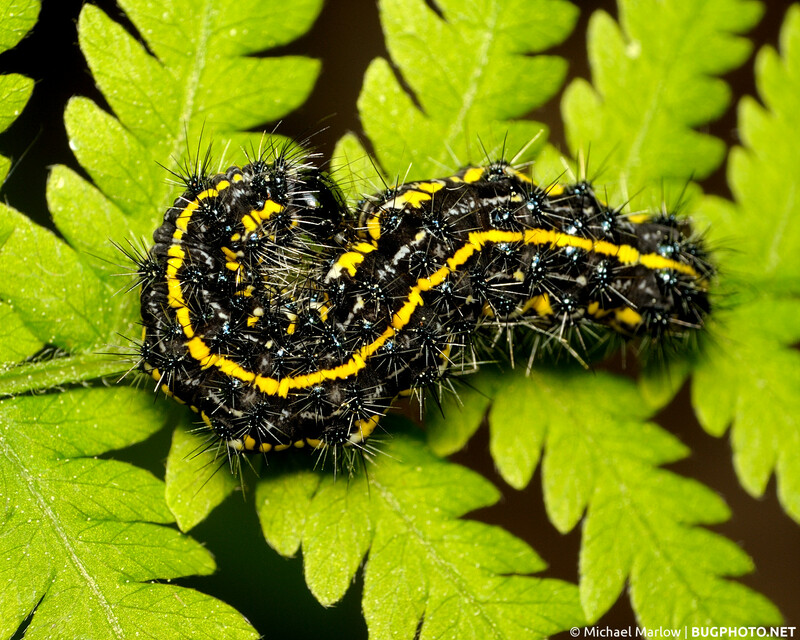 I think this portly caterpillar is Haploa confusa, the Confused Haploa Moth. Some confusions in my life seem interminable, but with bugs, it mostly works out. In this case, I think the confusion worked out by leaving me confused. So to speak. It left me with a Confused Haploa Moth. I originally narrowed it with confidence down to Genus Haploa, but then I hit some trouble. 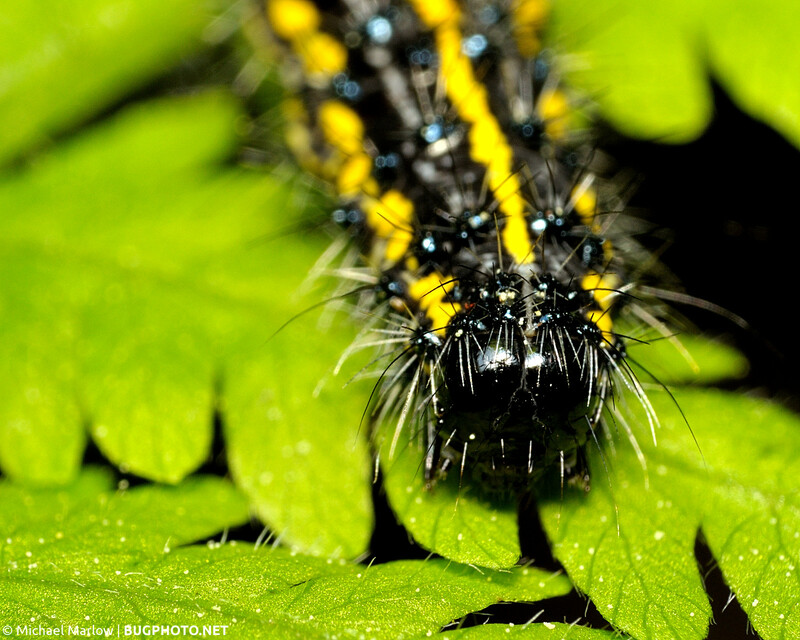 The larvae across five or six species look very similar to the untrained eye. Using BugGuide.net and David Wagner’s Caterpillars of Eastern North America: A Guide to Identification and Natural History (a truly excellent guide book, I decided it was Haploa confusa; the prominent dorsal stripe and less defined subdorsal stripes seem to give it the edge over H. lecontei (Leconte’s Haploa). It’s always nice to get a tough ID; it’s like solving a mystery. 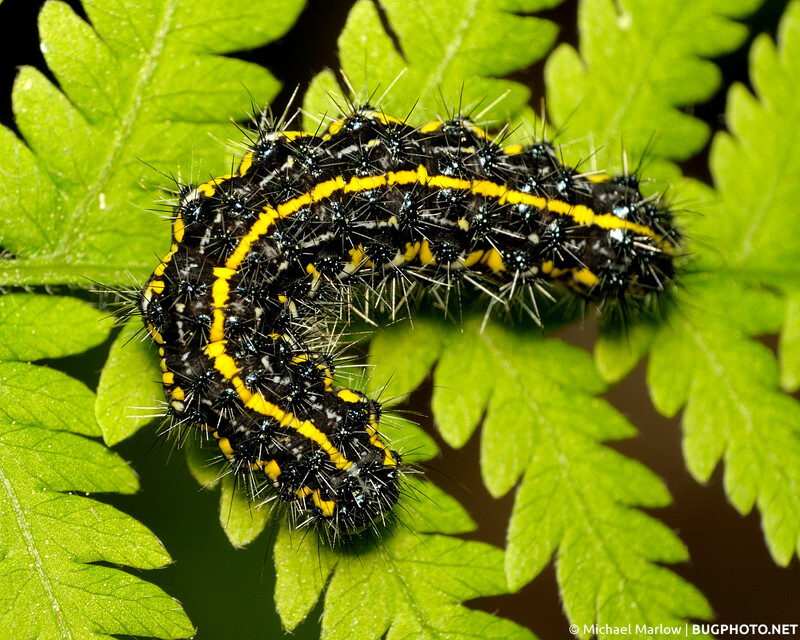 Posted in MothsTagged Arctiini, caterpillar, confused, Confused Haploa Moth, Haploa, Haploa confusa, identification, Macro Photography, moth, tiger mothBookmark the permalink.